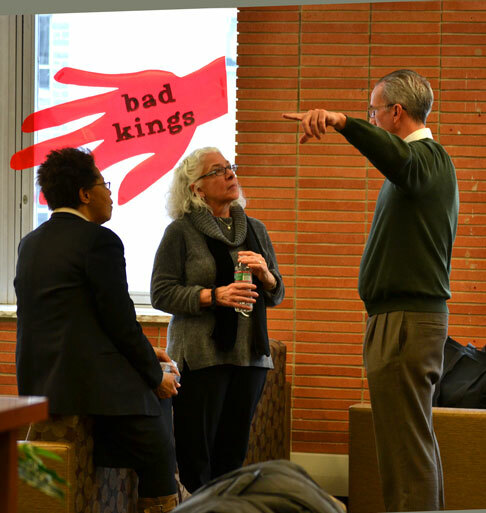 One Book coordinators Terry Nance and Tom Mogan talk with publicist Ina Stern from Algonquin books. 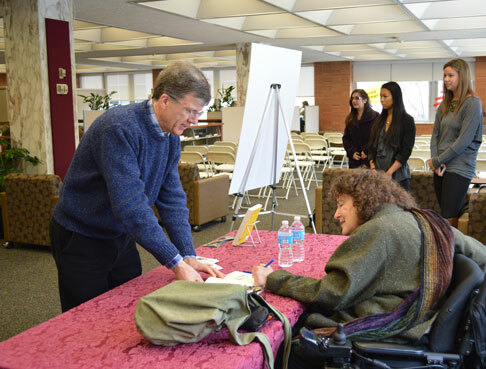 Librarian Linda Hauck has her book signed by the author. 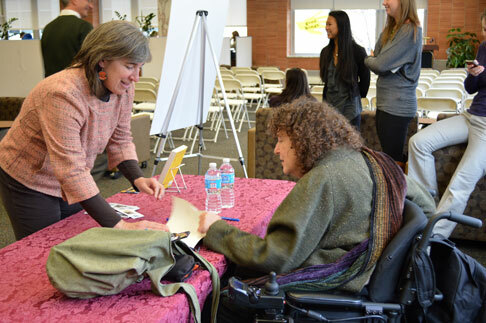 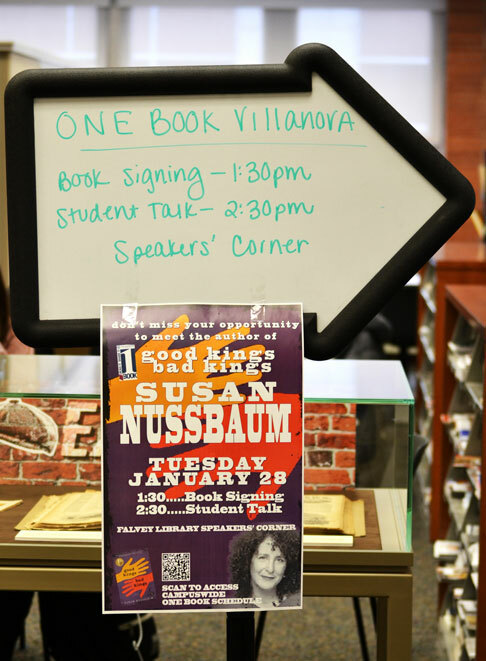 Susan Nussbaum signs a book for staff member Gerald Dierkes. 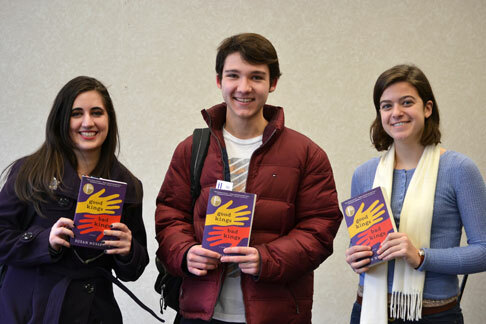 Students Katrina Schroeder, Joseph Kunetz and Cara Mathers proudly display their signed copies of Good Kings Bad Kings.